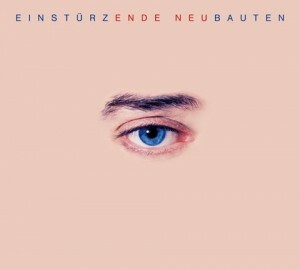 Since their formation in 1980, the German experimental outlaws Einstürzende Neubauten have nullified the division between everyday street noises and music, between art and life, thereby becoming perhaps the only group truly deserving of the term “industrial.” Now the group tries to live up to their legacy with Ende Neu, a CD four years in the making. Gone are the days of music created from jackhammers, shopping carts, and electric drills; Ende Neu concentrates on studied composition rather than performance. 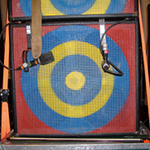 Unfortunately, the bold concepts here prove to be stronger than the music itself. On most tracks, a pompous string section and celestial-sounding choir drown out the guitars and mechanical bric-a-brac percussion. In something of a return to the old form, though, one highlight is the eleven-minute “NNNAAAMMM,” which features funklike bass and staccato vocals atop revving Alfa Romero engines and steam compressors. Originally published in the Orlando Weekly on December 24, 1998.